Okay, I’m still prescheduling my blogs so who knows what I’m working on right now! I thought I just post some random photos I’ve taken lately. 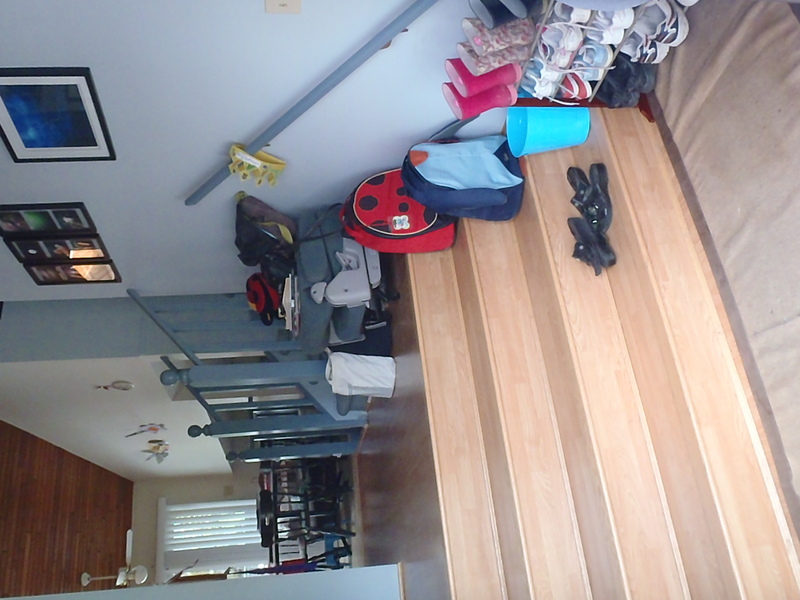 Remember when I said I’d tidied up the hallway with a shoe rack? Well, this is what it looks like now, controlled chaos! 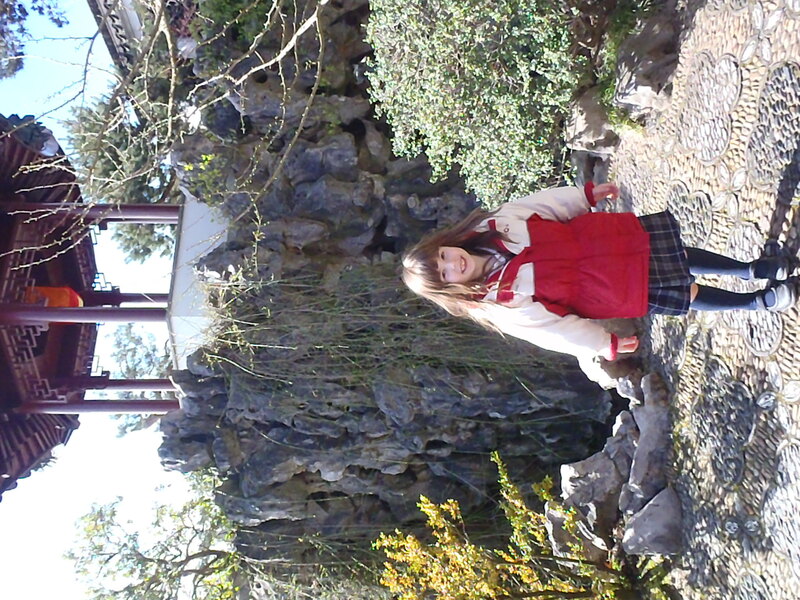 The grade one classes go to Chinatown every year to the Sun Yat Sen Gardens and I joined them. 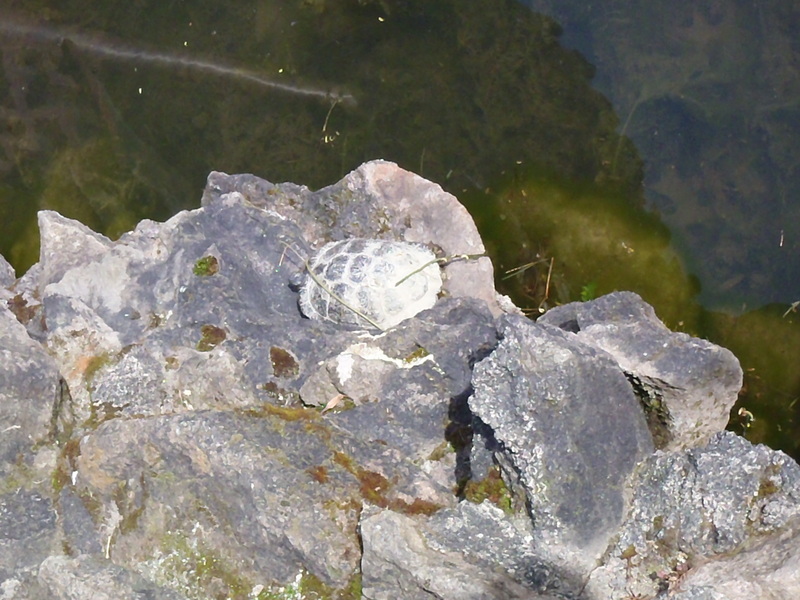 H was so upset that she didn’t see the turtle for the longest time but when she did, she was the happiest creature about. She wouldn’t let me take her picture until she was happy again. Hmm, what else do I have to share? 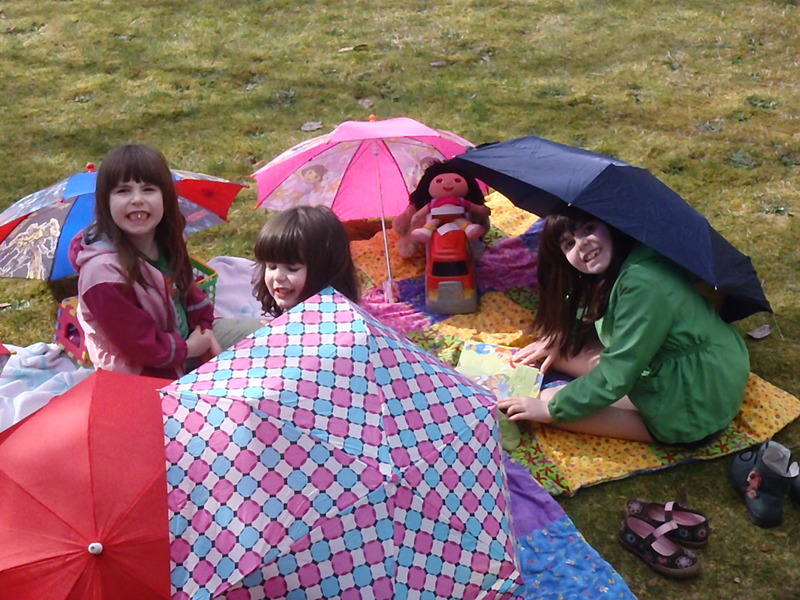 My girls are crazy for picnic of any variety. This was a cloudy day, we could hear thunder in the distance but that didn’t deter them. The umbrellas were to shield them from the wind and they figured they could easily shelter from the rain if the storm came our way. Fortunately it didn’t. 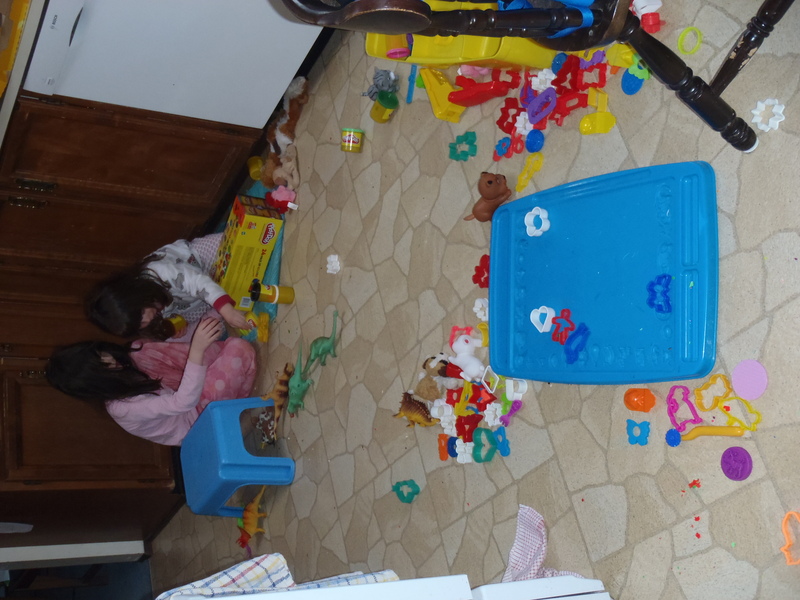 Here they are making a giant mess of the kitchen floor. It’s the only room where they are allowed to get into the Play Doh as they spread it everywhere. A change of clothes is always required after the Play Doh gets put away as their knees and sleeves get covered in it. They are amazing – 24 colours became one after a single use.